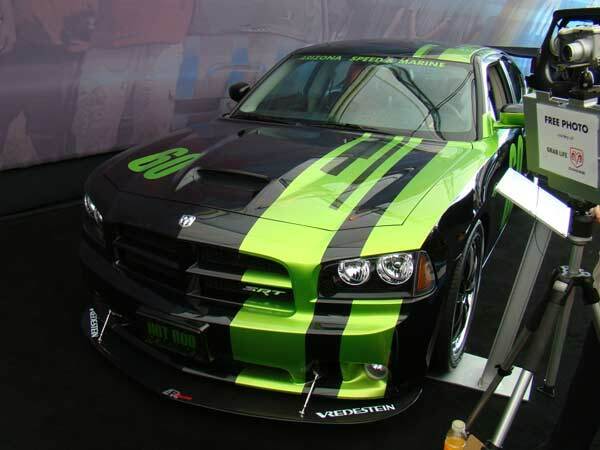 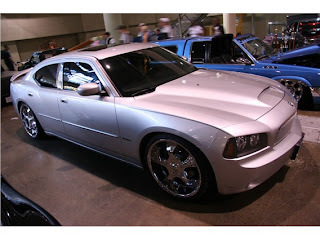 The Dodge Charger is an American automobile manufactured by the Dodge division of Chrysler. There have been several different Dodge vehicles, built on three different platforms and sizes, all bearing the Charger nameplate. 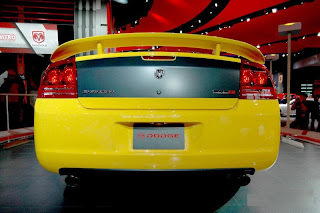 The name is generally associated with a performance model in the Dodge range; however, it has also adorned subcompact hatchbacks, full-sized sedans, and personal luxury coupes. 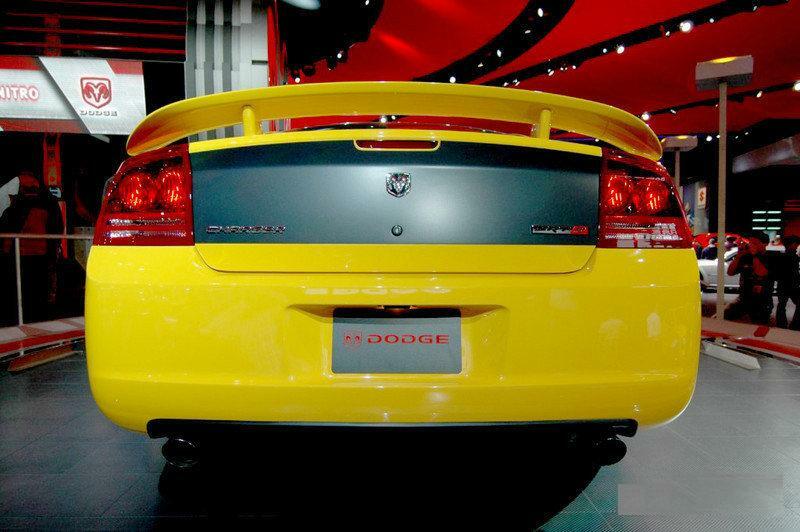 An SRT-8 version of the Charger debuted at the 2005 New York International Auto Show. Powered by a 425 hp (317 kW) version of the 6.1 L (370 cu in) Hemi, it also featured upgraded Brembo brakes, and interior and exterior updates. The engine produces 420 lb·ft (569 N·m) of torque. 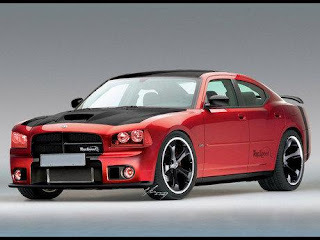 The 425 net horsepower of the modern 6.1 L Hemi makes it even more powerful than the legendary Chrysler Hemi engines of the muscle car era, the biggest of which was rated at 425 gross horsepower. 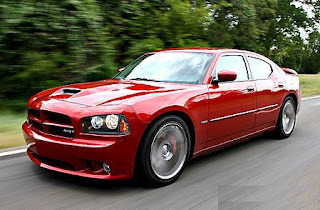 This makes the 6.1 L Hemi engine the most powerful V8 engine that Chrysler has ever put in a production vehicle with a 5-speed automatic transmission.